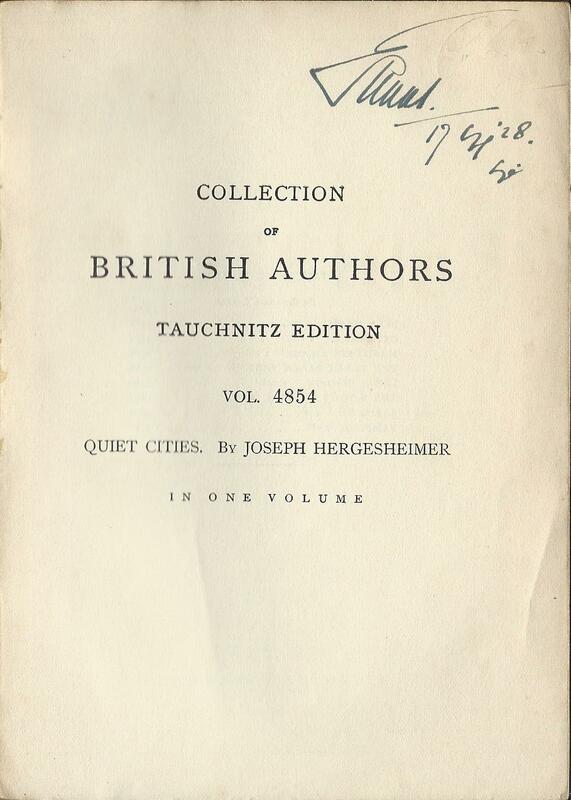 For over 80 years from 1842 onwards, the firm of Bernhard Tauchnitz published a series of almost 5000 books in English under the title of ‘Collection of British Authors’. From early on it was a misleading title. 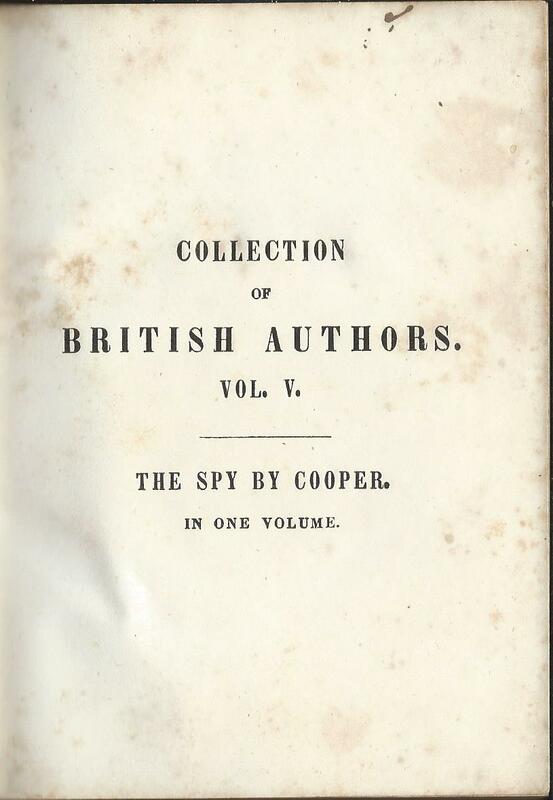 The first book in the series by a non-British author came in the very first year, as volume 5 of the series (‘The spy’ by J.Fenimore Cooper) and it was followed by several hundred others over the decades that followed. Most of those of other nationalities who had to put up with being classified as British Authors were of course American, but they were not alone. Occasional works in translation, such as The odes and epodes of Horace, Dante’s Divine Comedy, or even the reminiscences of Bismarck, might perhaps be justified on the basis that the translators were British. Other authors, such as Maarten Maartens or Katherine Mansfield may have written in English, but were certainly not British, and it seems unlikely that someone such as Rabindranath Tagore, an opponent of the British Raj, would have appreciated being classified as British. But above all it was the Americans who as a group had most cause to feel aggrieved. The firm even kept a count of the number of books they had contributed. 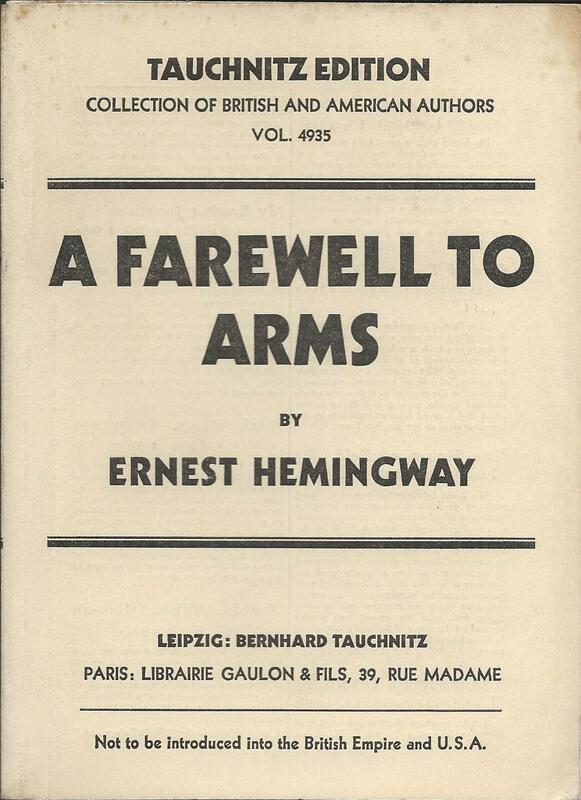 A 1928 catalogue for instance reported that the series at that point consisted of 4830 volumes from 454 British and 98 American authors, with 4356 volumes by British and 474 volumes by American authors. The Americans included Mark Twain, Washington Irving, Henry James, Harriet Beecher Stowe and even Woodrow Wilson. To be fair by that point the series title on the outside of the wrappers and on the catalogues had been changed to read ‘Collection of British and American Authors’ and this had applied since 1914. But the half-title still referred to the Collection of British Authors, and this was the reference point most likely to survive on bound copies, where the wrappers and catalogue would be discarded. The reason for changing the title in some places but not others, seems to have been that the company held a massive stock of stereotype plates covering the half-titles of already published books. A complete change of name for the series would have involved recreating them whenever a book was reprinted. They did however regularly update the half-title verso to show the latest list of other titles by the same author, so it’s not clear that this was really a major barrier to change. It may have had more to do with a general conservatism – after all the basic wrapper design remained largely unaltered from 1842 to 1914 (can you imagine any design today lasting for 70 years?). Finally in 1930 Tauchnitz took the plunge and fully changed the series title to ‘Collection of British and American Authors’. It was one of a number of changes brought in by Max Christian Wegner, and the rate of change was too much for the Board – by 1931 they had forced him out of the business, leaving him free to join the team that was to create Albatross books. Posted on August 7, 2015, in Vintage Paperbacks and tagged Albatross, American authors, Fenimore Cooper, Max Christian Wegner, Tauchnitz. Bookmark the permalink. 2 Comments.